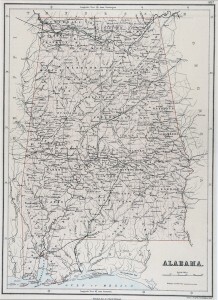 The University of Alabama Law Library Special Collections recently received a collection of maps acquired by Special Assistant Attorney General Benjamin Cohen during and after litigation of the Alabama and Mississippi Boundary Case [470 U.S. 93 (1985)]. 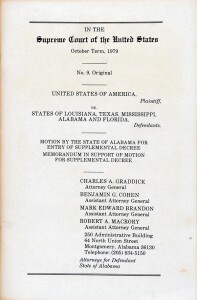 This case was initiated in 1979 by Alabama Attorney General Charles Graddick, who was aided by a team that included then-Assistant Attorney General Mark Brandon, now Dean of the University of Alabama School of Law. 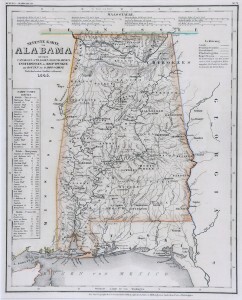 The Alabama Attorney General’s office joined with its counterparts in Louisiana, Texas, Mississippi, and Florida to ask the U.S. Supreme Court to rule on the status of the “Mississippi Sound”—a much-navigated waterway running just off the coastline of these states. 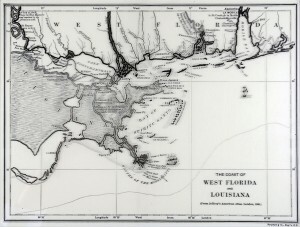 The states wanted the Sound classified as an inland waterway, thereby granting to each ownership of a share of the submerged lands. 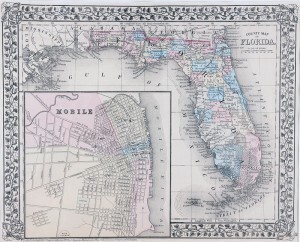 With ownership would come the right to regulate access to the petroleum and other mineral deposits under the Sound. 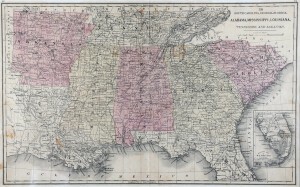 Constitutionally, the matter fell under the original jurisdiction of the U.S. Supreme Court, and in the printed briefs it is identified as “No. 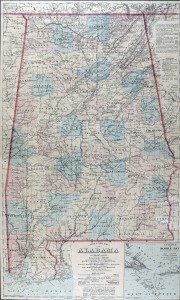 9, Original.” The Court appointed a Special Master to hear the case; he delivered his findings in 1984. 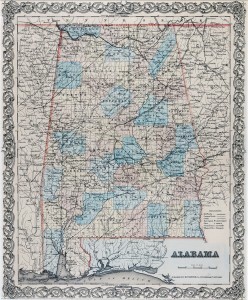 The Special Master found “that the whole of Mississippi Sound qualifies as a historic bay under the Convention on the Territorial Sea and the Contiguous Zone. 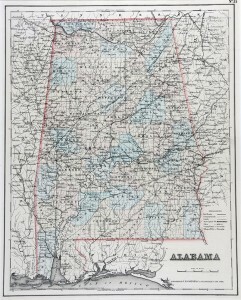 . . and thus constitutes inland waters.” Both the states and the U.S. Government filed exceptions to the Special Master’s report; Benjamin Cohen argued the case for Alabama in November 1984. 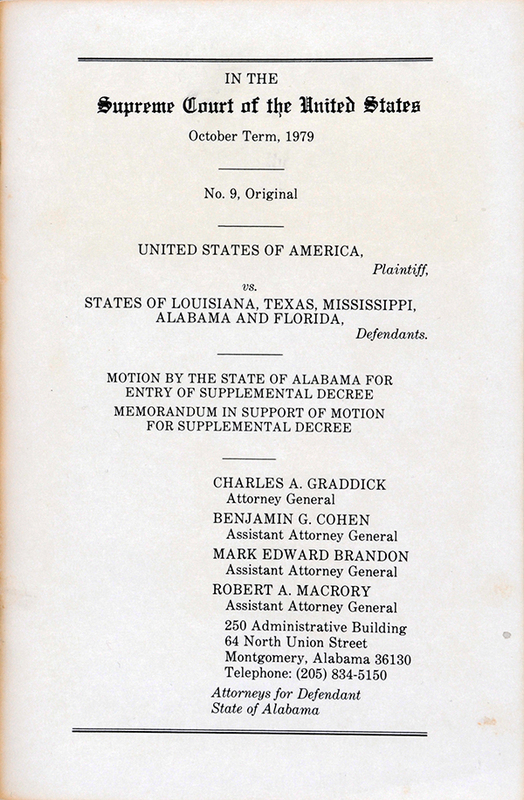 In February 1985 the Court ruled in favor of the Special Master’s report, overruling the federal government’s exceptions.